Mike Mander's Photo & Imaging Blog: Pocket Wizard, Sekonic and Dynalite Workshop! 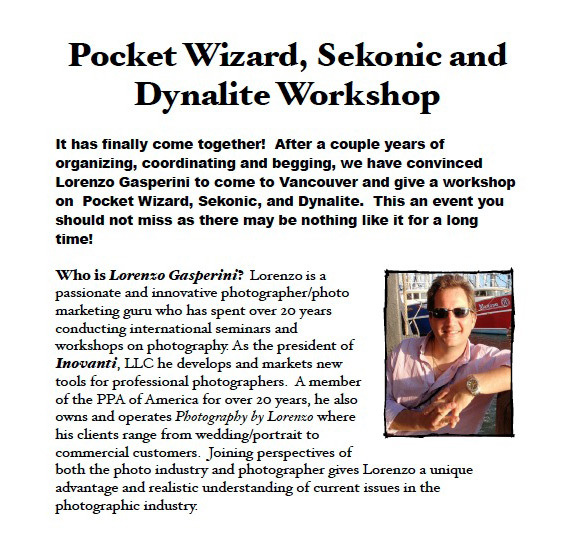 Pocket Wizard, Sekonic and Dynalite Workshop! You can also email Ken Shymka at Beau Photo for more information, or just to register. Great seminar by Lorenzo :-) and nice to have Nick Didlick in the audience, too!!! Awesome night, great products. Thanks, Ken and Peter. And the lovely models, too.